My sister’s friend Shannon invited us to join her in Chicago for a concert with megastar singer and Oscar-winner Adele. Stunning. Moving. Best. Concert. Ever. And a great opportunity to witness powerful, effective presentation skills. So as I get ready for a busy spurt of my own performances (okay, in the professional world, we call it speaking, but it is performance at heart), I took notes. Here’s what I saw Adele do. They’re techniques I want to keep working on as I coach clients on effective presentation skills. They’re also skills I’ll remember as I continue to improve my own talks and workshops. If you’re a leader who needs to speak more effectively, maybe these ideas will be music to your ears. They stand up in front of an audience, suddenly stiff and formal after they’d been happy and joking with you minutes before. They fuss nervously with their computer and audio-visual settings, grumbling about technology and apologizing before they start. Then, they proceed to read you, word-by-word, everything already written on their presentation on the screen. And then they sit down, breathless, feeling they’ve accomplished something. I hate to tell you–those are far from effective presentation skills. And what stuns me is that when we take that old school, safe presentation path, we often KNOW it’s not effective. We drool over powerful TED talks and watch video of others who inspire us, and yet we don’t choose to do the work to be more like them. Photo courtesy of Shannon Guest. To be more like Adele. 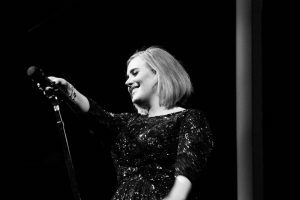 Because Adele could have just sung her songs–they’re beautiful and her voice is stunningly powerful. The girl’s got the talent, just like you’ve got the talent in your field. Adele, the record-breaking superstar, actually asked people in the audience to come up on stage for a selfie–or for a hug. And yes, many had been standing in the sun for a few hours before getting into the stadium, so they may not have been sweet-smelling. But that was okay with her, because it was real. 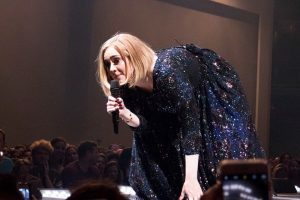 Heck, Adele asked people to come up on stage (remember, in front of 30,000 people), and SING WITH HER. And she giggled and smiled with love at each one, from the child who froze from fear to the quiveringly excited Filipino man, to the middle-aged lady from Wisconsin who matched Adele belt-by-belt and unexpectedly found herself signing autographs afterwards. When I’m speaking, I sometimes catch myself worrying about being good. But what I really should focus on is being real. Goofy if I wanna. Heartfelt. Or when they use the company terms or acronyms wrong, or complain about the room setup, or generally seem to pull something out of a box and have no respect for the situation into which they’ve been invited. Adele’s performance reminded me how much of a difference it can make when you respect where you are. 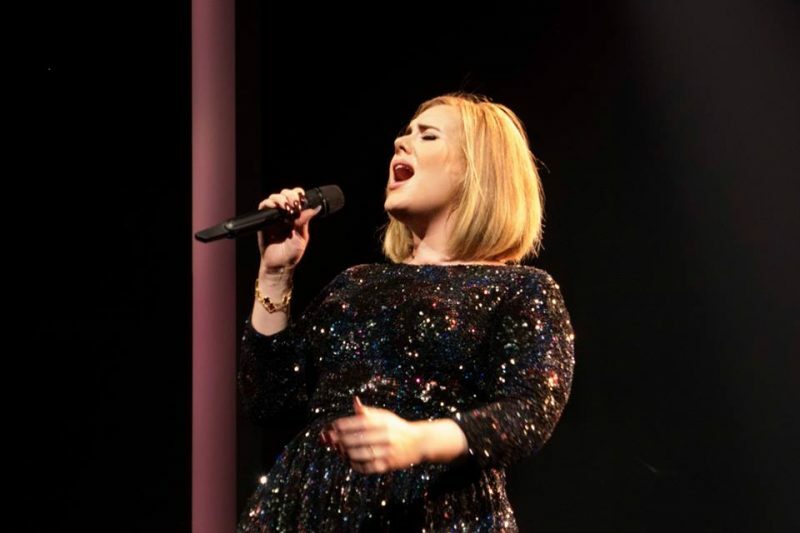 In-between songs, Adele’s stories included references to what she’d done recently with her family at a local park and on Lake Michigan. She named restaurants she’d eaten in (and not in a slimy, name-dropping way). Also, she and her team planned ahead to be respectful of where they were. 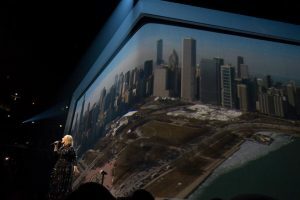 The visuals for her song “Hometown Glory” included gorgeous pictures of the Chicago skyline. I’ll assume they were not used for her appearances in Cologne or St. Paul and won’t be used for stops in Boston and Mexico City. That means her A/V team needs to have a process to swap out images for each of her concert locations. They can’t just run the same thing every night. Taking the time to think through how to make the experience relevant, thoughtful, and close to home is always a great sign of respect. It made the concert—and the artist—stand out. Not everyone gets to perform in front of 30,000 people at Chicago’s United Center. And not everyone gets to perform in front of 30 people at your department’s quarterly review. Adele impressed the heck out of me by consistently conveying how grateful she was for our presence, our applause, and our attention. It reminded me of how important it is to take a moment to really be grateful before, during, and after you take the floor. Don’t just say, “hey, I’m really glad to be here.” Feel it and show it. It’s a gift to have people’s attention, even just for the few initial seconds until they’ve decided whether they’ll trust you with more. Thanks, Adele, for the reminders, and thank you for your attention here. YOUR TURN: What are YOUR secrets for delivering effective presentations? Tell us what’s worked for you–and what hasn’t. You can join the conversation on Facebook or just email me your stories & questions directly here. Have a question about how to make your presentations at work more effective? Or any other career question? Ask away using the button below. I answer all questions (as long as they come from real people, not spambots), NEVER reveal your name (unless you say I can), and work hard as I can to answer quickly.